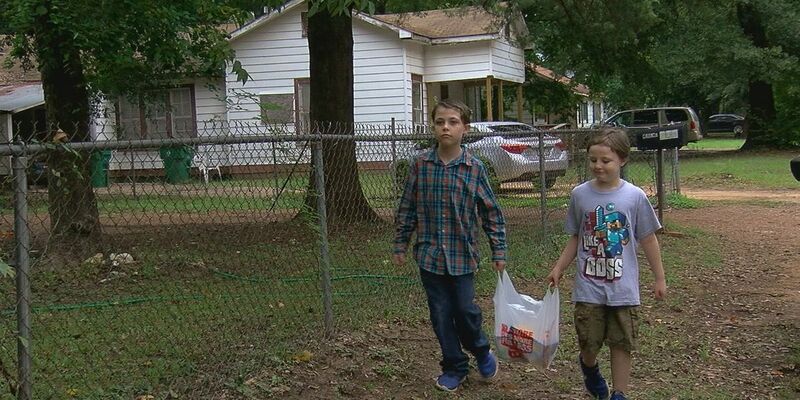 CROCKETT, TX (KTRE) - Two brothers from Crockett are making a change in their community one snack at a time. Keegan and Koleson Fields have started a project to give away free non-perishable items. It’s called the blessing box. The idea is to allow those in need to receive these items 24/7. “It’s an easy open, and some people can give or eat the food,” Koleson said. Inside the blessing box are items like peanut butter, beans, and even soap. The Fields brothers said they got the idea off of social media. “Our mom showed us a video, and we asked her if there was one here in Crockett, and she said no,” Keegan said. They just opened the blessing box on Tuesday. In a matter of two days, they’ve received help from the community with donations. “A lot of people don’t always want to go to the food pantry here in town, so they might be willing to come here and grab a couple of cans if they need food,” Mickie Fields, the boys' mother, said. Koleson said he and his brother are encouraged to keep giving back when they notice food gone.